If you're wondering why it's taken me so long to announce a winner for my "You on a Vintage Pattern Envelope" giveaway, well... that'll teach me to have a non-random giveaway! I got 17 fabulous, fun and well-thought-out entries, plus lots of sweet comments and birthday love, and I hated having to choose just one! ohh what an awesome giveaway. I have been reading since you had your daughter, who is a little younger than my oldest. I found you through you sewing.patternreview.com after admiring your work. I sew, but am not at vintage pattern making level yet. So this is just pretend for me. I think Simplicity 6838 is gorgeous. I like version 3 in a jewel tone like deep purple or dark turquoise. Alexa is right--how awesome is view 3 with those awesome cutouts? Hmmm, would you put me on an "Australian Home Journal" cover? Like this one. I'd like to be in the pink dress, but made up in a purple floral, maybe something like this. As for hair, I want big, bouncy curls like the main picture here. Oh my goodness, I LOVE all three of those dresses... surplice necklines, gathers, scallops, pockets, peplums, directional stripes... all kinds of awesome, really. While I wish I looked like those beautiful vintage pattern envelopes, it just isn’t meant to be. I wonder what their stats are? I would imagine they are at least 6 feet tall with a 20” waist. So maybe that would look rather freakish in real life. But what pattern to choose? I think I would choose my most recent creation, Advance 5470, which is special in so many ways. First off, the pattern came to me via Mr. Male Pattern Boldness, himself. It doesn’t get much more special than that! The black and white floral fabric is something that I have been saving for quite a while now, earmarked for a Vintage Vogue pattern that I just have not had the proper opportunity/event to cut into the fabric. The huge shawl collar, full skirt, and lantern sleeves may just be the most perfect pattern I have ever come across. Wishing you a Happy Belated Birthday! And thank you for the opportunity to win such an amazing prize! Laura Mae is, of course, way too modest, because I do believe she DOES look like she stepped out of a vintage pattern envelope (or at least a vintage fashion magazine) most of the time with her amazing vintage-inspired creations. Mikhaela, this is such a cool project and a generous offer. I've been following you since you commented on my blog earlier this year, though I only recently formally subscribed. I like reading because your sensibility and array of projects and thoughtful way of proceeding all appeal to me. You have smart commenters too. 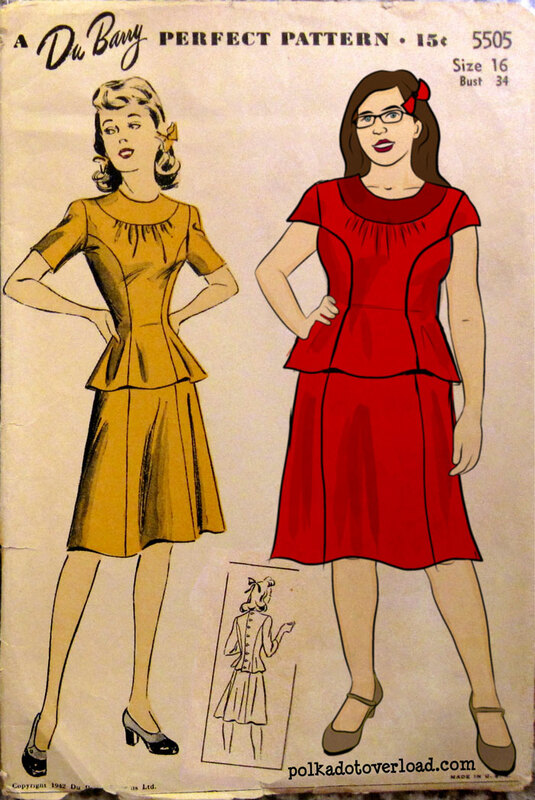 I would love to see myself on a vintage pattern envelope, specifically Simplicity 1668, a 40s dress with scallop details, in bright blue and white polka dot fabric, red shoes, red lipstick, and hair kind of like my own but more 40s-styled, less frizzy and unkempt. I would use the image wherever I could! Definitely I would frame it and display it next to a photograph of my much missed grandmother in a similar dress. Now that I know Lee in real life through the Brooklyn BurdaStyle Sewing Club (in fact, I saw her there last weekend! ), I can easily picture her rocking the dress she describes. Polka dots + scallops... yummy. I love your blog mainly because you are a cool mom vintage sewing knitting graphic designer. You have a perspective similar to mine. I am cutting it pretty close on this one because I forgot it was EST midnight not my midnight. I am still not entirely sure that this is the pattern I love the best but Simplicity 3471 is adorable and I would love to have it in a bright Pucci or Marimekko style print. I was also looking at some 70s maxi dresses, but I am really more of an early 60s kind of girl. I am getting ready to start up a new sewing and fashion blog and would love to use artwork like this. Also I am getting ready to chop several inches off of my locs and would love to have them memorialized this way. Oh and I would wear a bright pair of wedges and a chunky necklace and my locs in a braid out with one side pinned back with a giant ranunculus. So yeah. Clearly impossible to make a choice here, so I grabbed the old digital hat and drew a number. But you might have noticed I said WINNERS (plural). Did I mention that in my own totally arbitrary way I decided to award a special prize? I want this so very badly. So very very badly. I don't suppose you could draw me as a Tardis? An illustration of me as a Tardis would need me in blue, of course, with a light bulb as a little hat, and some rocking blue heels. This would go in the Tardis bedroom, next to my bed, so I could always giggle when I get up in the morning. It would also need to go on my blog somewhere so people know what they are getting into when they click on my page. I have a Doctor Who problem - I'm sure there is counseling for this somewhere. In my next life, please let me come back as Alex Kingston's duplicate. With her wine colored Louboutin heels. Seriously, though - this giveaway is truly special. I think any of us who read your blog regularly would be so honored to be drawn by you. I know I am getting misty at the sheer generosity of this! If I had to pick a vintage pattern, I would pick the Mail Order 9388 that was my Sassy Secretary dress. I would love big hair (I long for big hair in my real life), cobalt blue dress, and then blue heels. I love that outfit. It makes me so happy to put it on, so to immortalize it as one of your drawings would be one of the best things in my life. This would have to go on my blog, and if I ever got around to business cards, it would be there too. 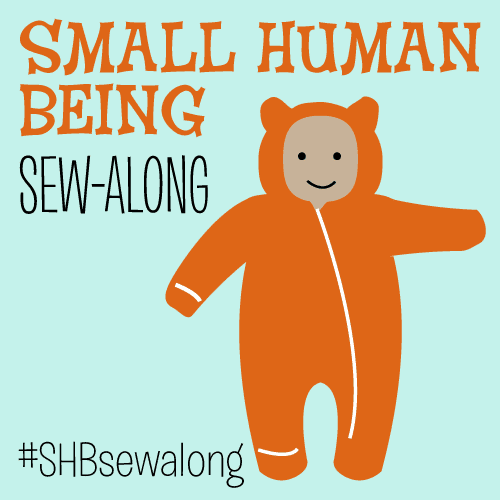 It would also get printed and put above my sewing machine so I could always smile when I am seam ripping a zipper. Congrats to both winners, and guys, I'm so sorry I couldn't draw every one of your awesome vintage envelope ideas! I screamed so loud that Rob thought I had severed a limb. And then I promptly teared up. I am so very honored and completely geeked out that you are going to fulfill my ultimate geek dream. Seriously - this means more to me than I can say. Thank you, so very much, from the bottom of my heart. I am sending you 1,000 hugs, and should we ever meet in person, you will be getting the biggest bear hug ever. this is so wonderful! i'm actually so excited for the ladies, you would think i'd won (instead of freaking so much over the giveaway i finally decided i didn't have The Goods. and didn't even enter). i can't wait to see these! Ahhhh! Yay! Thanks so much. I never win stuff. Now I just need to make the decision for my new blog name and I will be ready to roll. Thanks again!